Russian folklore comprises dazzling fairy tales that take place in dark forests in the deep winter. 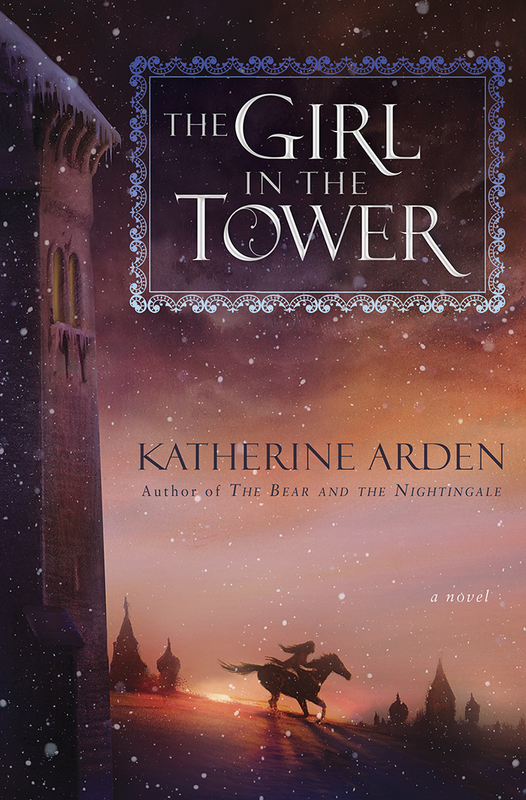 Katherine Arden’s The Bear and the Nightingale and recently published The Girl in the Tower are two lovely novels in a fantasy trilogy about Vasilisa Petrovna, a woman in medieval Russia who straddles a world between myth and conscious reality. As a so-called witch, she is in reality an unconventional Russian soul, claiming her fate in a world that sees women only as mothers and wives. In a lyrical manner, Arden presents Vasilisa Petrovna as a heroine born under unusual circumstances in a beautiful natural world of sky, earth, and forest. The granddaughter of a princess once named a witch, she grows up on her father’s rural farm estate in Lesnaya Zemlya, Land of the Forest. Many miles from Moscow, she matures as an exuberant tomboy, balancing the constraints of female household chores with rambles across her father’s acres of fields and forests. Gifted with second sight, the adventurous Vasya sees domestic spirits that inhabit her house, bathhouse, courtyard, and stables, along with the rusalka, a water nymph who lures mortal men like a siren from the riverbank. Initially alone in seeing these mythical creatures, she pays them tribute and accepts them fully. Wandering into the woods, she encounters two spirits, Morozko, an alternately dangerous and beautiful spirit of frost and death, and his opponent the Bear, a one-eyed creature that feeds on fear and destruction. When a wandering priest, Konstantin Nikonovich, arrives in her village, he deploys his fanatic devotion to stamping out the villagers’ pantheistic beliefs in the spirits of the earth, sky, and forest. By turns fascinated and repulsed by her unconventional beauty and passion, he encourages the villages to fear God and their own human natures. After Vasya develops her innate gift and learns to speak to horses, Morozko, the blue-eyed frost demon, gifts her a horse born of a nightingale, one who runs as swiftly as a dream. Vasya must fight the terror engendered by the priest to save her world, as the Bear strengthens from an atmosphere of fear, starting famines and fires and raising the dead. Helped by Morozko, she confronts the Bear and his unwitting servant, the exceedingly handsome, proud priest who uses his power over his congregation to make them fear God and to lessen their ties to the land they till. 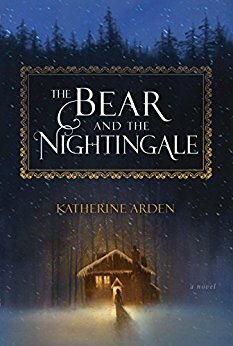 Arden creates a gorgeous medieval Russian universe in which Christianity is in tension with the pagan world in which it is planted, despite the ways in which they are intertwined. While Vasya’s beloved brother Aleksandr becomes a renowned monk who worships God lovingly, she sees the strictures of the church as tightening its noose around a universe that is a part of her, one in which she has grown up nurtured on fairy tales told by her beloved nurse. To avoid spoiling the plots of both books I will stop here, since I highly recommend both and eagerly await the last novel in her fantasy trilogy. This author pens her adventures simply and beautifully. Both adults wishing and mature teenage readers wishing for an escapist adventure will enjoy these works for their clear, cool writing and the surprisingly modern heroine Vasilisa Petrovna. With her unique Russian spirit, she fights to preserve her heritage and to shape her own destiny, escaping the towering prisons of traditional female roles.